Hydrangea, alternatively known as hortensia, is a flowering deciduous shrub that is highly appreciated for its lovely, copious flowers in various colours. Both deciduous and evergreen species exist. However, the most widely cultivated varieties are exclusively deciduous. Many species and cultivars are commonly planted in gardens and this should not be surprising, as the name hortensia is highly likely to be derived from the Latin word “hortus”, which translates to garden. The flowerheads of hydrangea cultivars are not only colourful, but also relatively large, which contributes greatly to the striking appearance that has made this genus among the most popular worldwide. 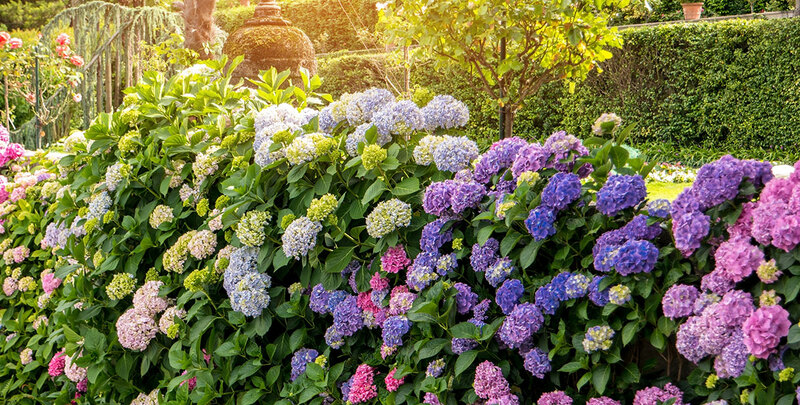 Hydrangea shrubs are most commonly planted as free-standing specimens, but they possess a number of qualities that make them excellent for hedging purposes. 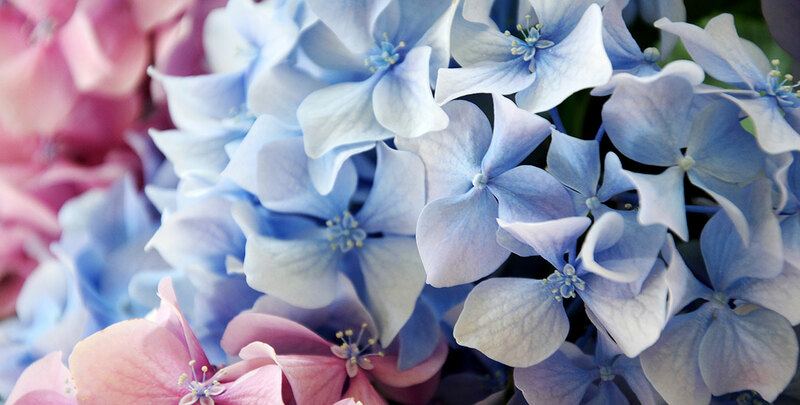 The flowerheads of the hydrangea typically contain not one, but two types of flowers. Besides the colourful, showy flowers that you can see on the outside of the flowerheads, there are also somewhat inconspicuous flowers on the inside. The varieties that are meant to be planted in gardens are usually carefully cultivated to have larger, more striking flowers on the outside, as wild hydrangea species generally have none or only a few of the colourful flowers on the outside. The flowerheads can grow in a round shape (corymb) or a longer shape, comparable to the flowers of a butterfly bush (panicle). Hydrangea hedges generally do not grow very tall, but that should not be a problem, as they are usually planted for their colourful appearance rather than for privacy purposes. 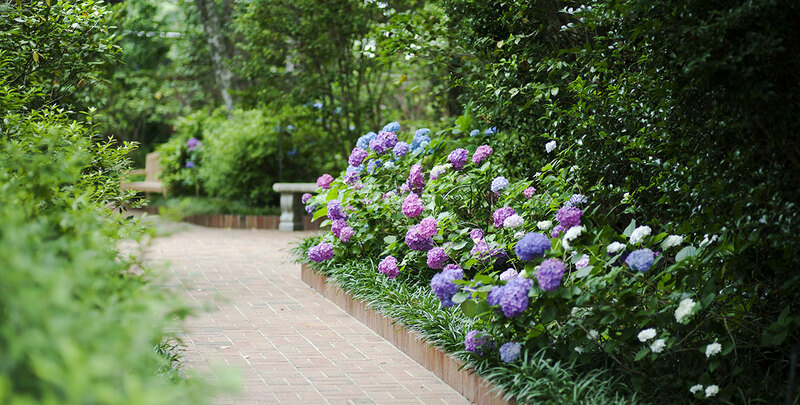 Over seventy hydrangea species exist worldwide, most of them native to East Asia. In fact, there are about 25 species that only grow in China. However, there are also species that are native to North America. While hydrangea species have been cultivated in China and Japan for many centuries, these species were not exported to Europe until the eighteenth century. It did not take long before its aesthetic value was recognised, however, and it did not take long until plants from this genus were highly valued as ornamental plants. In hindsight, this was to be expected, as the beauty of hydrangea shrubs is impossible to ignore. Its colourful flowerheads do not just beg, but scream to be noticed and appreciated. Today, hydrangea shrubs are a very common sight in gardens all across Europe and the UK. Hydrangea hedges, however, are a relative rarity. That does not mean that species from this genus does not make a decent hedging plant. In fact, if you wish to plant a hedge simply to make your garden look a little more beautiful and colourful, there are hardly any hedging plants that match those criteria better than hydrangea species do. Since their growth habit is modest and bushy, they will not grow very tall and are therefore highly unlikely to be suitable for privacy purposes. They are simply excellent for growing vibrant, informal flowering hedges. Another advantage is that hydrangea species are surprisingly easy to maintain. It is possible to lightly prune a hydrangea hedge during springtime, but it is generally not necessary to do so, as they have a relatively modest growth rate at 20 to 30 centimetres per year and tend not to overgrow. The only exception to this would be the hydrangea anomala petiolaris or climbing hydrangea, which has a growth rate of 25 to 50 centimetres per year and as a climber, differs significantly from other hydrangea species. Hydrangea hedges can be positioned in the sun, in partial shade or in full shade, depending on the species or variety chosen. They like a moist, fertile soil – especially when newly planted, so we advise you to add some organic matter to your soil. Flowering will last from spring to autumn. The white flowers of the cultivar hydrangea arborescens ‘Annabelle’ are fairly similar in shape to the blue to purple hydrangea macrophylla ‘Bodensee’, as both cultivars have spherical flowerheads. Arborescens ‘Annabelle’ is tougher than most macrophylla varieties, as it tolerates both cold and summer drought, which is not typically true for the macrophylla. A striking difference, however, is defined by the variegated flowers of the macrophylla, which turn blue if they are planted in acidic soil (pH 4.5-5) and pink if the soil is alkaline, with various shades of blue, red and purple in between. If your soil is not acidic, but you would still like to have blue flowers, you could choose to work specific types of plant nutrition into the soil that are designed to make the flowers of the macrophylla turn blue. Any garden will look more colourful and attractive with a hydrangea shrub or hedge. 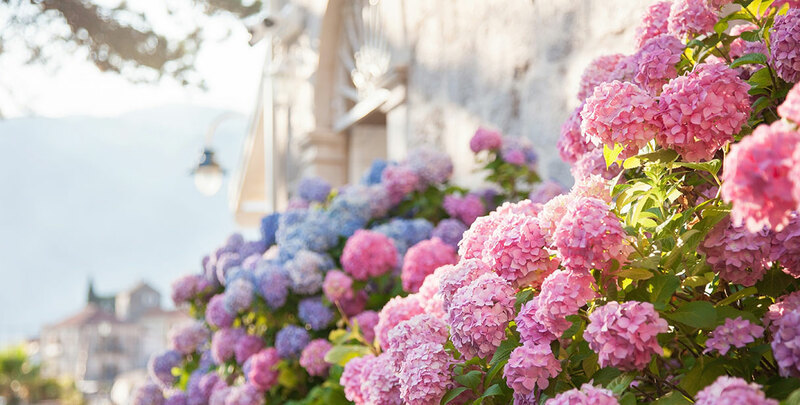 And since there are many different species and varieties available, all with their own specific colours and characteristics, the hydrangea perfectly tailored to your wishes is certainly out there. With macrophylla varieties, you even have a certain degree of influence on its appearance, but even without this “trick”, the possibilities are seemingly endless. If a colourful garden is what you are after, there are virtually no hedging plants that will meet your demands better than hydrangea can. You can choose the variety that grows the flowerheads that appeal most to you in terms of colour and shape or simply combine different colours and shapes in a mixed hedge, to give your garden an almost kaleidoscopic appearance. With a hydrangea hedge in your garden, summer will never be far away.